This relaxed pairing of a Valentino multi colored horizontal striped crew-neck sweater and red leather skinny pants is a foolproof option when you need to look cool but have zero time to dress up. Feeling experimental? Dress up your look by wearing a pair of red suede heeled sandals. This combination of a Valentino Embroidered Striped Ribbed Knit Wool Sweater and navy jeans is a safe and very fashionable bet. Wear a Valentino multi colored horizontal striped crew-neck sweater with black skinny jeans for a relaxed casual and stylish outfit. 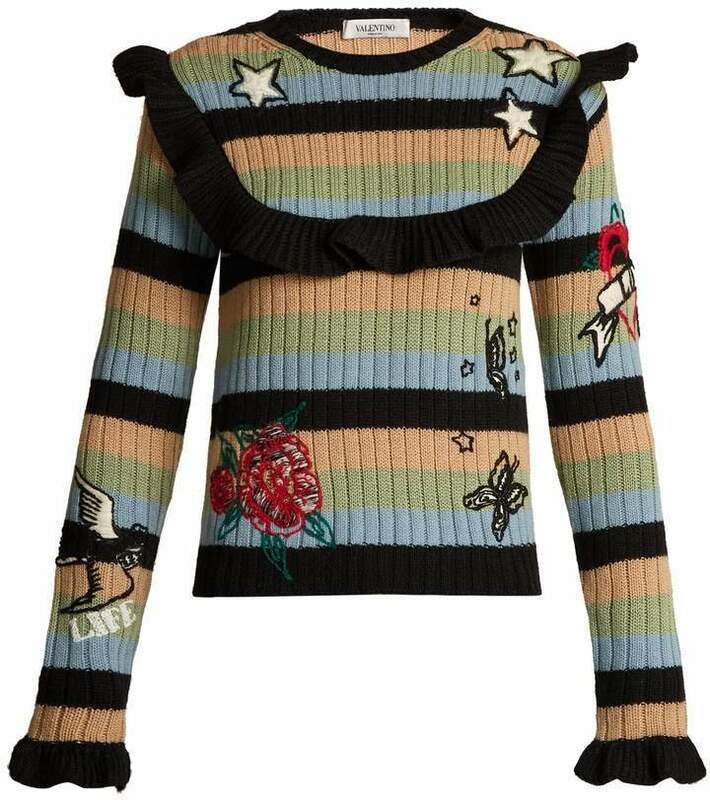 If you're looking for an off-duty yet chic outfit, pair a Valentino Embroidered Striped Ribbed Knit Wool Sweater from MATCHESFASHION.COM with navy skinny jeans. 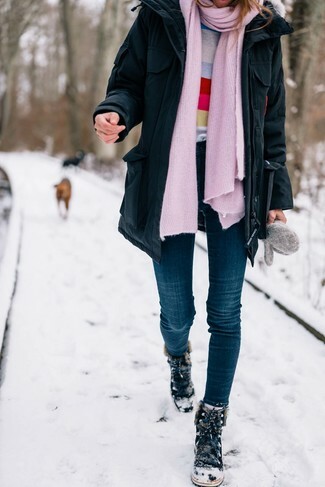 Put a fresh spin on your getup with a pair of black suede snow boots. This combination of a Valentino Embroidered Striped Ribbed Knit Wool Sweater from MATCHESFASHION.COM and an aquamarine pleated midi skirt is proof that a safe casual look can still be really interesting. Want to go all out on the shoe front? Add aquamarine suede pumps to the equation. For To put together a relaxed outfit with a stylish twist, choose a Valentino multi colored horizontal striped crew-neck sweater and a dark green polka dot pencil skirt. A pair of black suede pumps immediately amps up the wow factor of any look. This combination of a Valentino multi colored horizontal striped crew-neck sweater and a light blue pencil skirt is a safe go-to for an effortlessly chic ensemble. You can take a classic approach with footwear and add a pair of black suede heeled sandals to your ensemble. 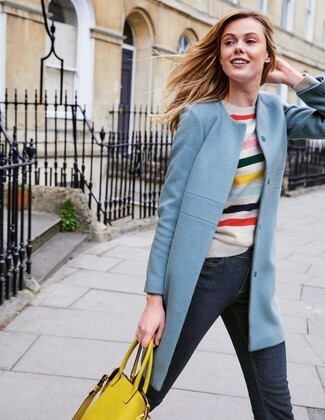 Marry a multi colored horizontal striped crew-neck sweater with black skinny jeans for a laid-back outfit with a contemporary spin. And if you wish to immediately glam up this outfit with shoes, why not add pink suede pumps to the mix? Master casual by opting for a multi colored horizontal striped crew-neck sweater and green flare pants. Lift up this look with a pair of pink suede pumps.